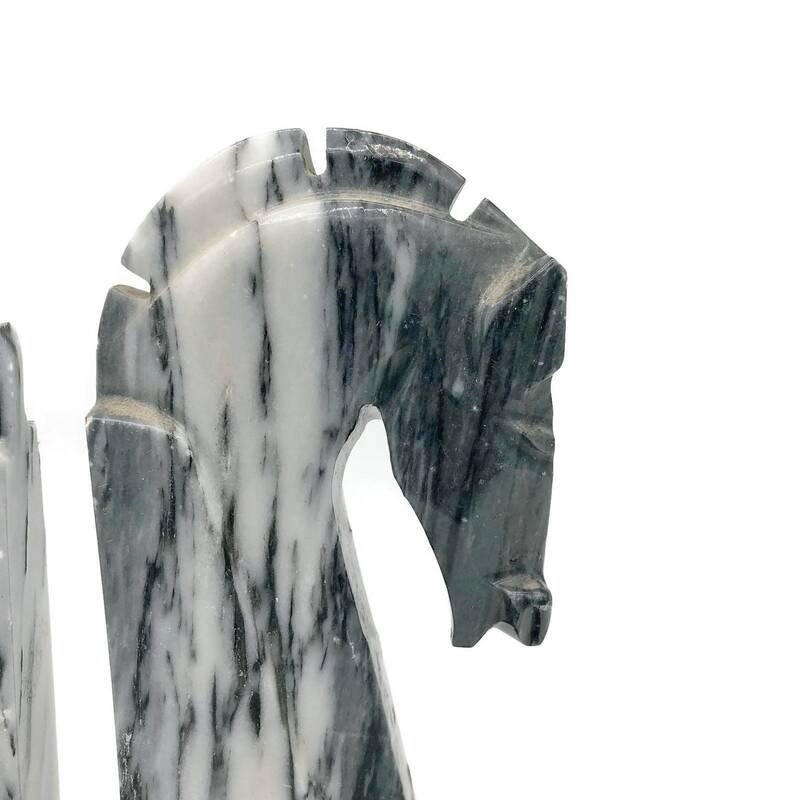 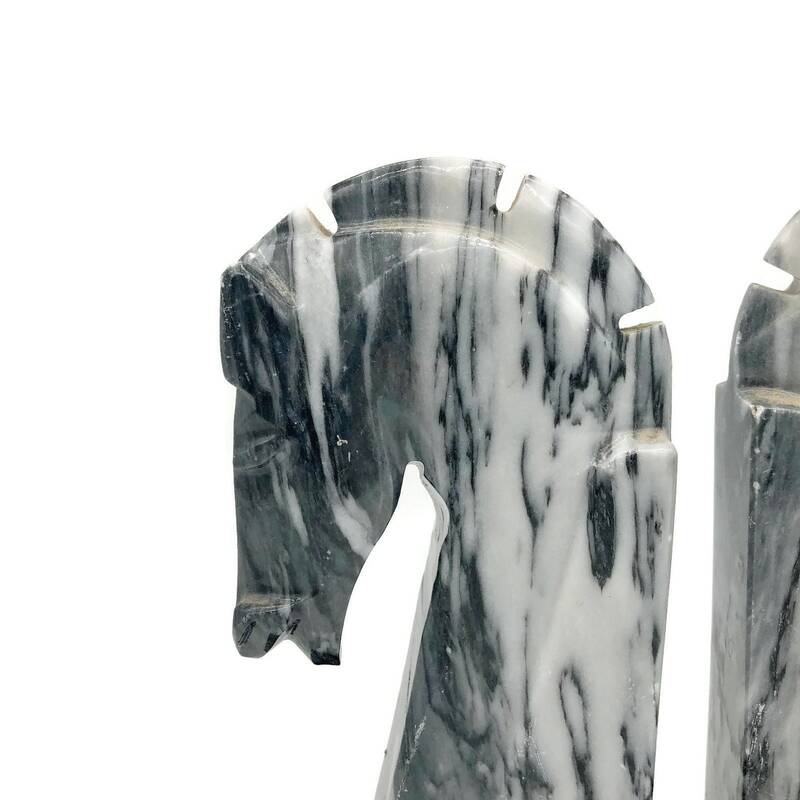 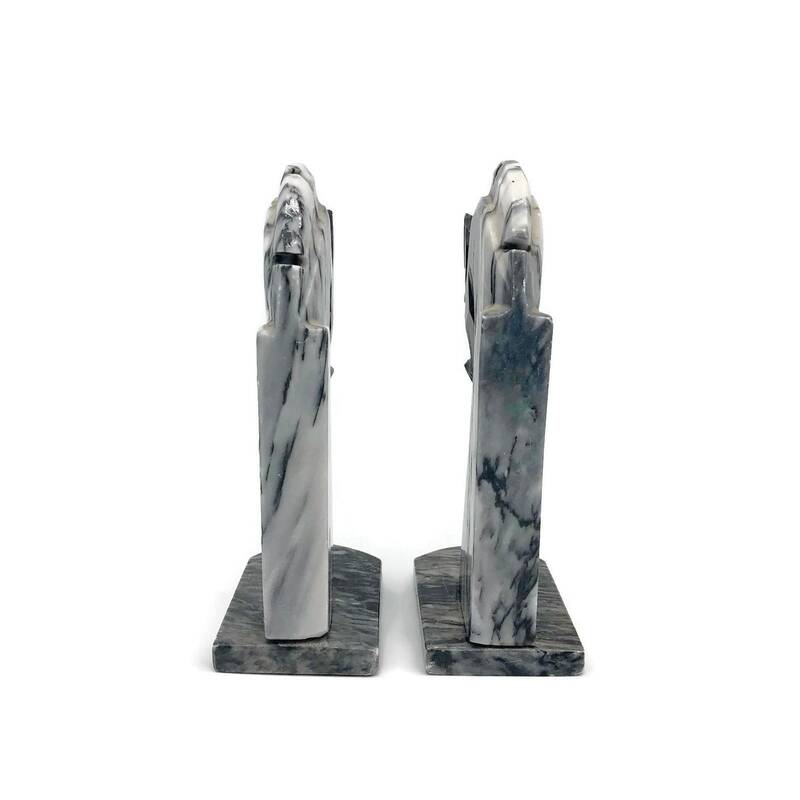 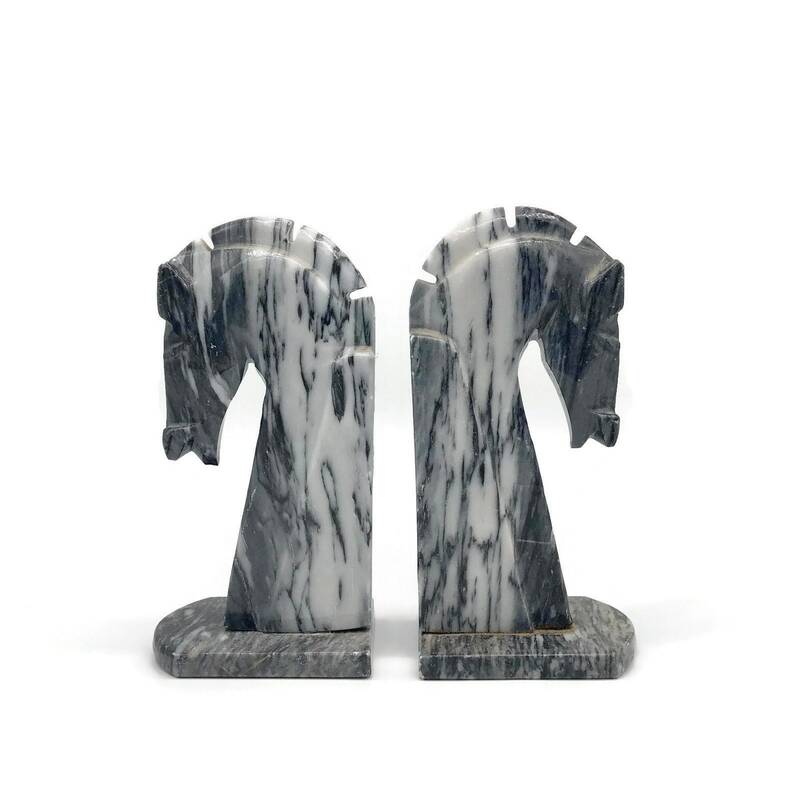 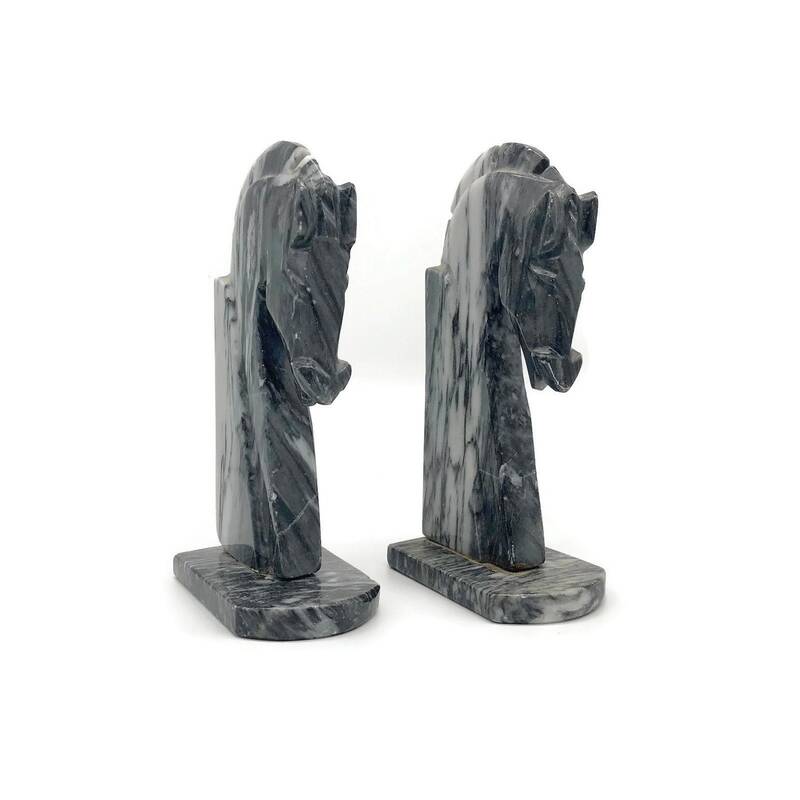 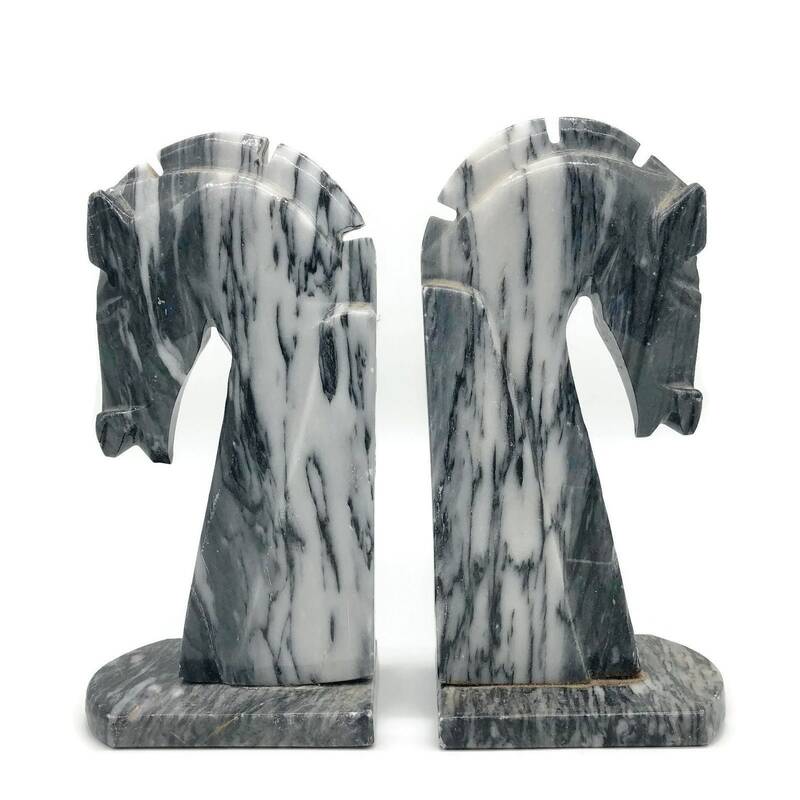 Handsome pair of vintage horse bookends - heavy black and white carved stone, comprised of 2 individual pieces screwed together. 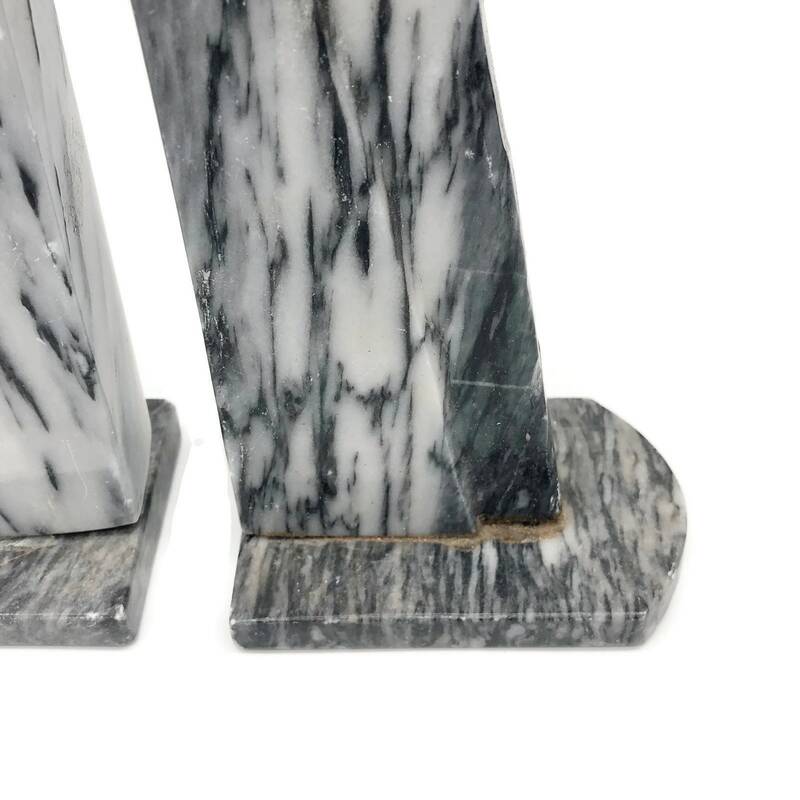 This is an awesome set, with just the right amount of age. 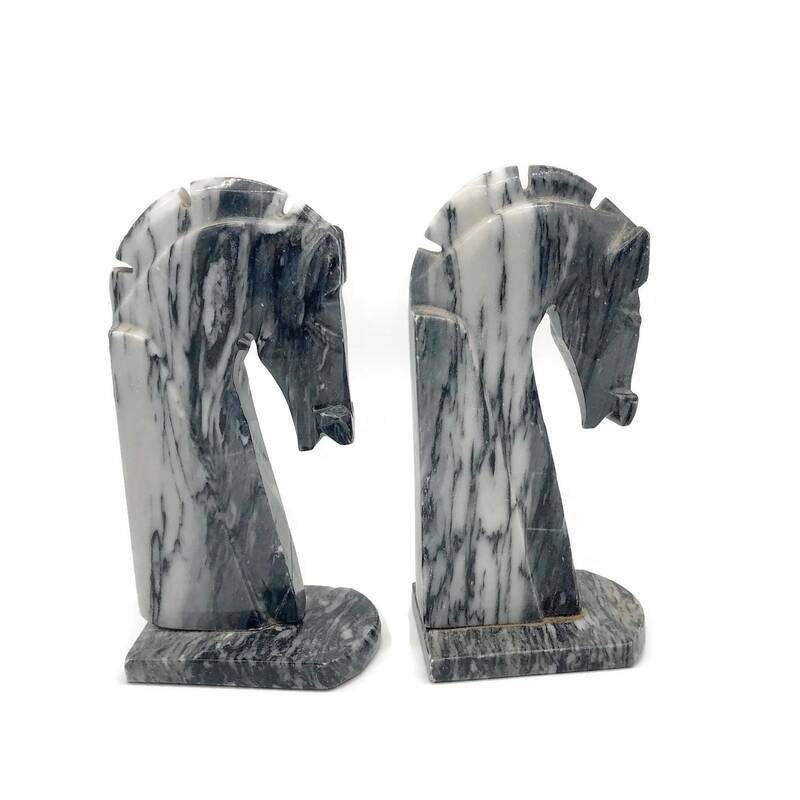 Perfect for the equestrian or chess fan in your life. 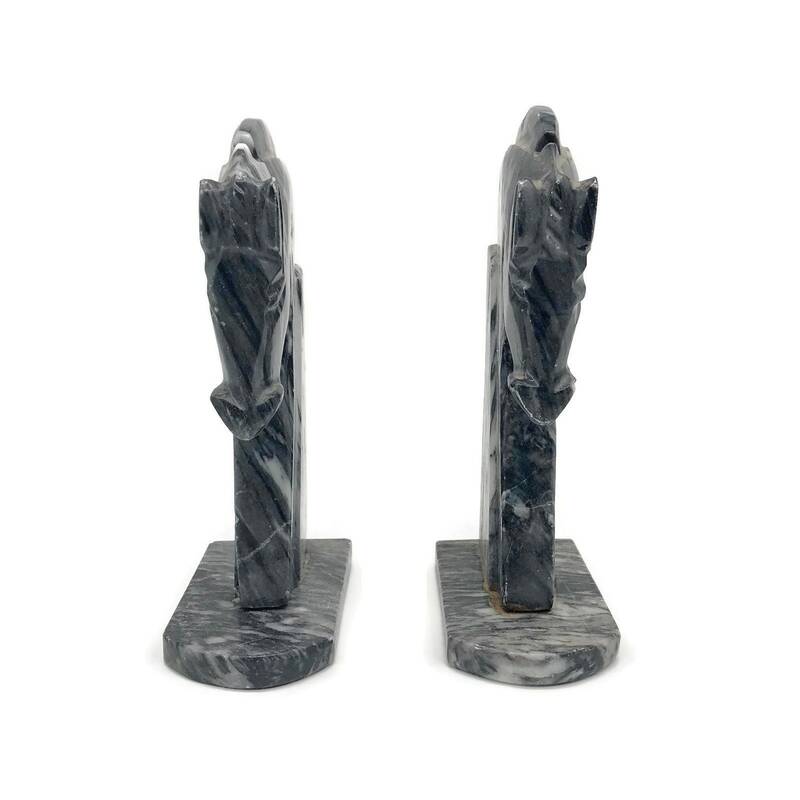 + Combined weight is 5 lbs., 2 oz.